Difference Between the International and U.S. Moto X – All in the Speaker Grill and Plastic? 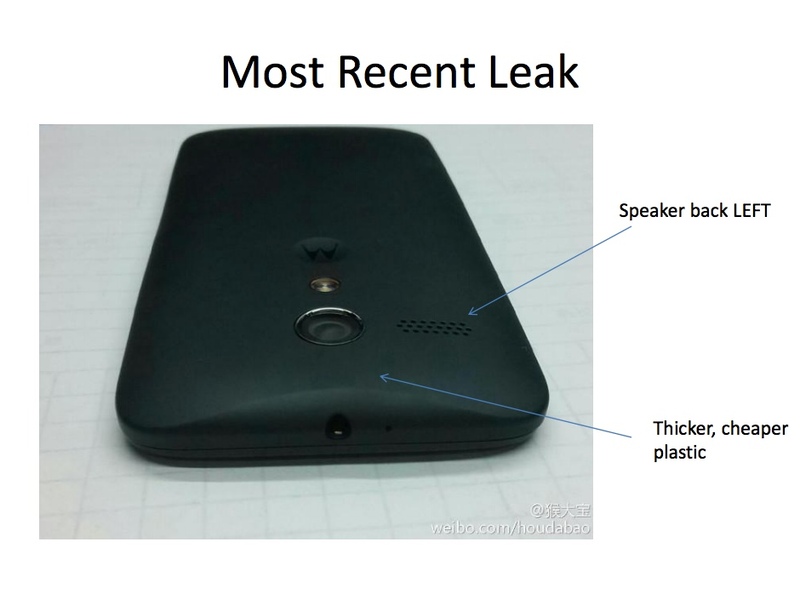 As the leaks have continued to pour in, the number of readers who are pointing out the movement of the speaker grill on the Moto X has increased as well. 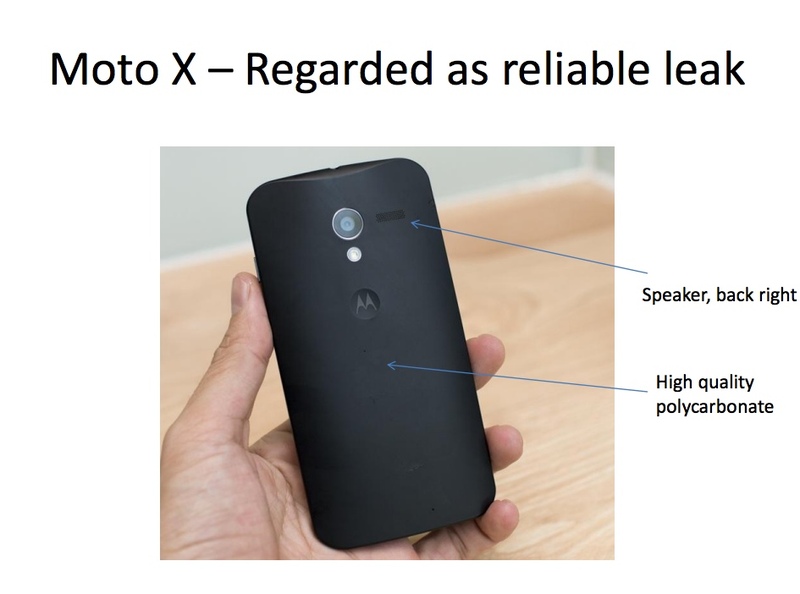 For those not familiar, the speaker grill on the Moto X seems to jump from the left side of the camera lens to the right side depending on the leak. We have seen the speaker move from left to right on both pictures of the phone itself and in replacement or custom back plates. So what’s the deal? Well, one reader of ours has a theory that the speaker on the right, along with higher-quality plastic, represents the U.S. variant, while the speaker on the left coupled with cheaper plastic, represents a lower-end model that is headed internationally. He even whipped up a fancy PowerPoint presentation (yes, they apparently still exist) to present his facts, some of which we have included. As you’ll see in the photos below, one of which is the original Moto X leak from months ago, we’re seeing what appears to be a high quality plastic, almost like what we saw on the HTC One X, along with a speaker grill on the right. 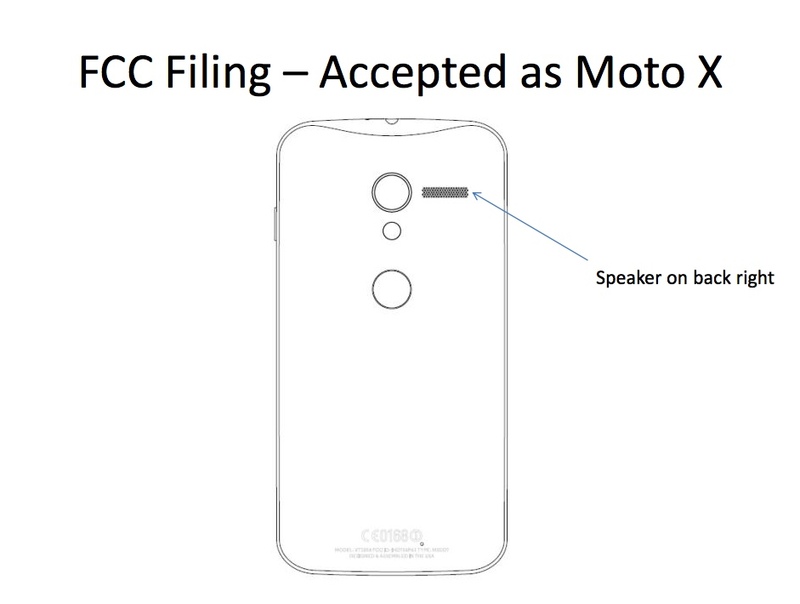 You can see in the FCC filing for the AT&T version of the device (pictured above), that the speaker grill is on the right side as well. And last, the version that Eric Schmidt was caught using today also has the speaker on the right. And since Schmidt works for Google and is based in the U.S., it would make sense that he would have the U.S. variant. In terms of this international version, we have a couple of things working for us. 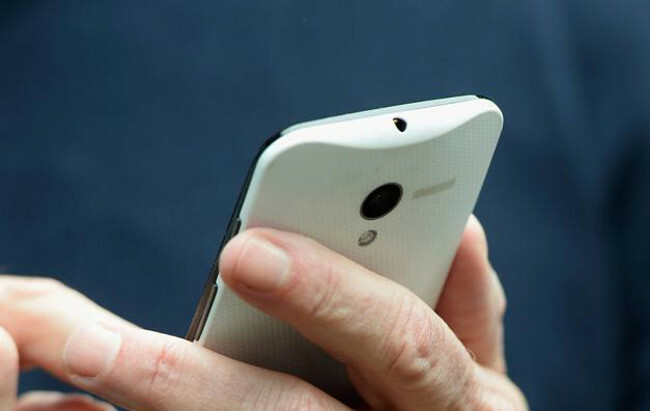 First, a report surfaced within the last week suggesting that Motorola may push a cheaper (or low-cost) version of the phone to international markets. 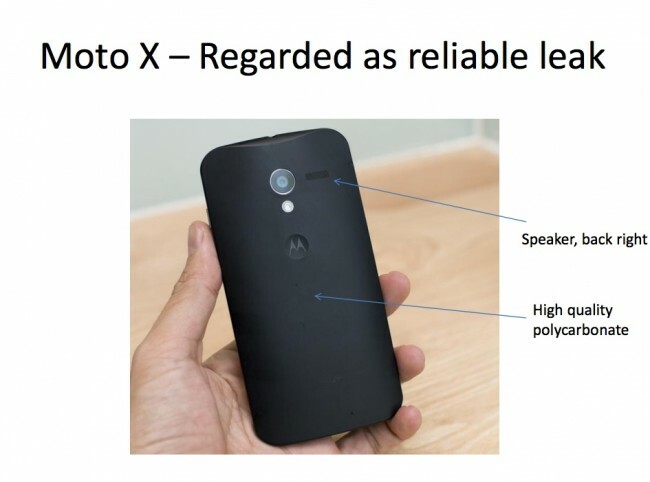 While the U.S. Moto X seems like it should be a low-cost device as well, knowing the specs, that’s a conversation for a different day. 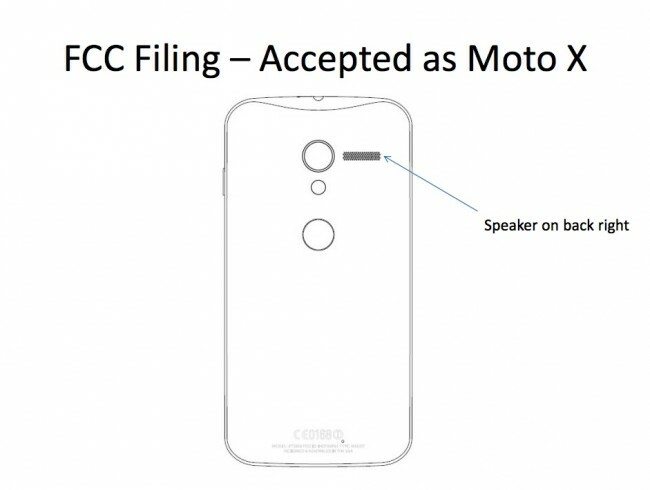 If we go with this talk of the international variant being cheaper, then our reader points out that the pictures of the Moto X with left-placed speaker grills simply look like they were made with cheaper materials. I’ll admit that it’s tough to tell from the pictures, but they do look more plasticy, if you will. 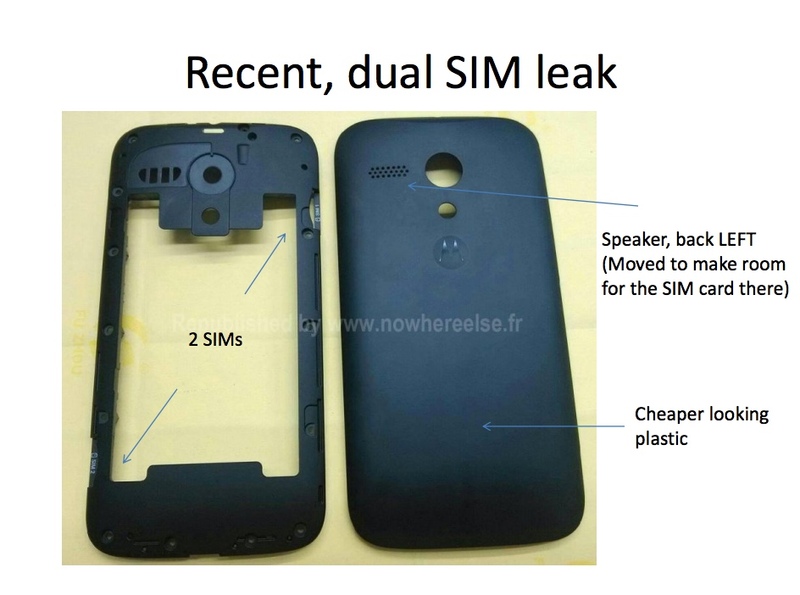 But to further the discussion of their being both international and U.S. variants, you need to look no further than the picture directly below which shows dual-SIM slots. On rare occasions (if ever) do we see U.S. phones with dual-SIM slots because the carriers here probably hate them, but they do exist and are great for traveling abroad. Typically though, it’s an international thing. And since the international version has dual-SIM slots, that means they had to move the speaker grill from the right to the left (also seen in the picture below) because of the top-right location of the 2nd SIM. Follow all of that? Of course this is just a theory, but it makes a lot of sense to us. Plus, since many of you have pointed out the fact that the speaker grill keeps moving, we wanted to at least address it. If you have other thoughts, be sure to let us know. If you’d like to download this lovely PDF, you can find it here.